A month ago, I asked readers to submit hand-drawn maps of the US…that they drew while intoxicated. Yeah, I haven’t heard from anyone about that. I did, however, receive the contribution below (drawn on Microsoft Paint by fellow blogger Lorena while sober). Look below the drawing for analysis and info about how you can contribute a map. It looks like the great lakes (or should I say, “lake”?) are peeing on New Orleans. Love the oil spill and the one defiant alligator. Is that arrow indicating that Hawaii is drifting away from the mainland? Is there a horse being blown out of Old Faithful? Cactus? Check. Adobe house? Check? A single east coast landmark? Nope. Apparently the most significant part of the midwest is…me. I’m flattered. Did Lorena leave her guitar in the Appalachians? Because of the sheer sober awesomeness of this contribution, I’m changing things up here. Anyone can submit a map of the US that they either draw on Microsoft Paint (or whatever the Mac equivalent is) or hand-draw while intoxicated. Heck, I’ll even accepted maps of the US that you drew while sober. The only guideline is that you cannot look use a map of the US as a reference for your map. This whole concept is about how you see the US as an individual. I will link to your blog if you let me post and publicly mock your map. If we make it to 10 maps, I’ll drink 4 beers (hey, it doesn’t take much) and draw one of my own. If we make it to 20 maps, I’ll let people vote for their favorite and the winner will get an awesome prize. Perhaps even an invitation to Festivus. My e-mail is jamey.stegmaier@gmail.com (bring it on, spambots). Let’s see some maps. This entry was posted on Tuesday, September 21st, 2010 at 9:14 pm	and is filed under best US maps, contests, humor and tagged with best US maps, humor. You can follow any responses to this entry through the RSS 2.0 feed. I’m pretty darn impressed with Lorena! My one question for her is, “What is the thing between the cactus and the mountains out west?” Is it some type of red rock formation (my guess)? Raggedy-Ann’s hair (my other guess)? The Gadsden Purchase? I think the impediment from me before was the drunkenness. If I have a few minutes of free time, I’ll give this a shot this week! Awesome, can’t wait to see your version of America! 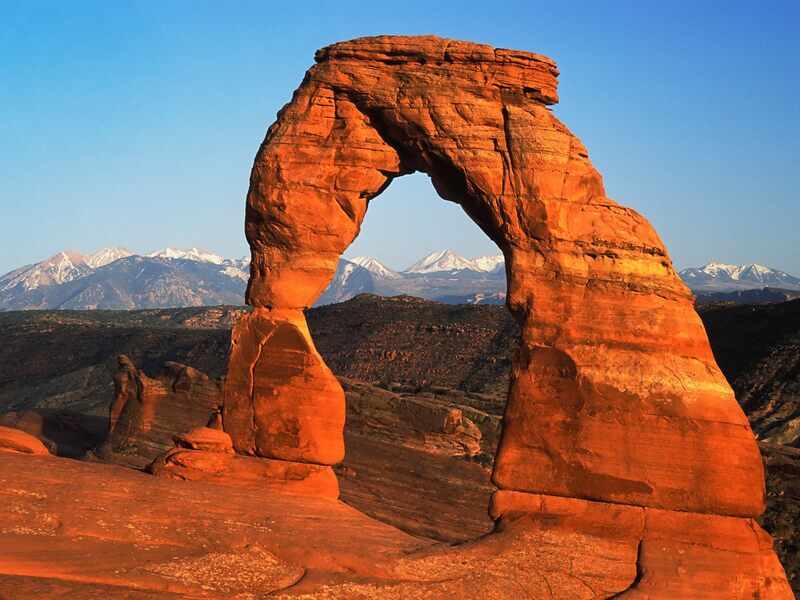 It’s Delicate Arch from Arches Nat’l Park in Utah. This is an awesome map! But where’s Alaska? Maybe Lorena doesn’t believe in Alaska? I can see Russia from my backyard, so I didn’t think it was necessary to include Alaska. Also, I did it at work–no, no, of course I didn’t! I only do work at work obviously–but I did, and then ran out of time. So, no Alaska, no Eastern seaboard. Thanks for the laugh this morning – love your comments!! It is on. Drunken Canada coming your way sometime this weekend. With maybe some US underneath for dramatic effect. Sure, you can count Canada as a state if you want. With all the dramatic effect below it, I don’t see how you couldn’t! Jamey, I’m sad you didn’t make it enlargeable. No one is able to see that my alligator is crying. And the ‘horse’ is supposed to be a buffalo walking behind Old Faithful, sheesh! I have no comment on the Great Lake(s), as I’ve never been. It seemed right to me.